F.A.I.T.H. - Betty Humphrey Fowler - F.A.I.T.H. 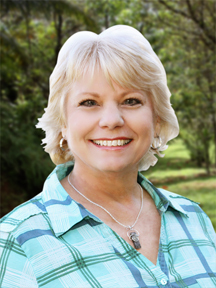 Betty Humphrey Fowler is a Feng Shui Consultant, Certified Interior Re-designer, author, speaker, and workshop presenter. The passion she has for her business, Energized Spaces, stems from her belief that everyone deserves to live and work in happy, healthy, thriving spaces. She is a lifelong student and enjoys sharing what she learns with others. Her goal is to help Feng Shui become a mainstream topic in our society. Betty received her Bachelor of Science degree in Physical Education and served as the head fitness instructor at The Public Safety Training Center in Santa Rosa, California for 17 years. There she taught lifetime and job-related fitness and stress management skills to over 3,000 police and fire academy recruits. To handle the stress of working varied hours, being married to a police officer, and raising two young children, she was guided to study Feng Shui. The information she learned helped her create peace and organization in her physical environment, which created peace and calm in her and her family’s life. Betty helps clients going through life-changing events shift the energy in their living spaces to move forward and renew their enthusiasm for life. She currently lives in the metro Atlanta area and offers private consultations, group presentations, and workshops.